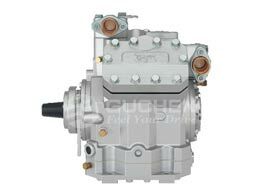 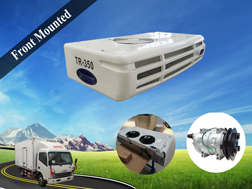 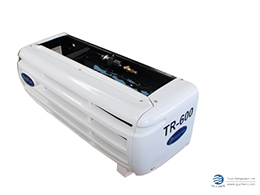 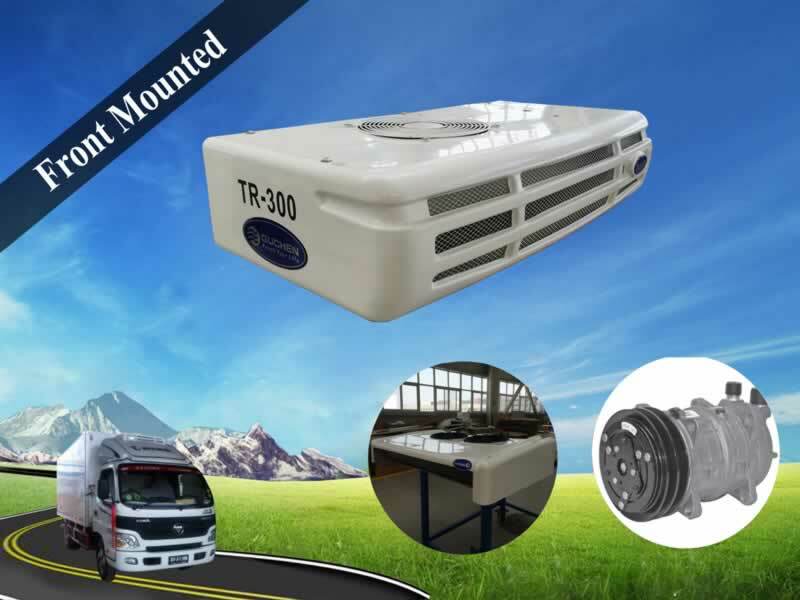 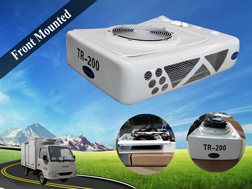 TR300 is truck refrigeration unit is a direct engine driven unit, with extra-flat evaporator of inner grooved cooper tube. 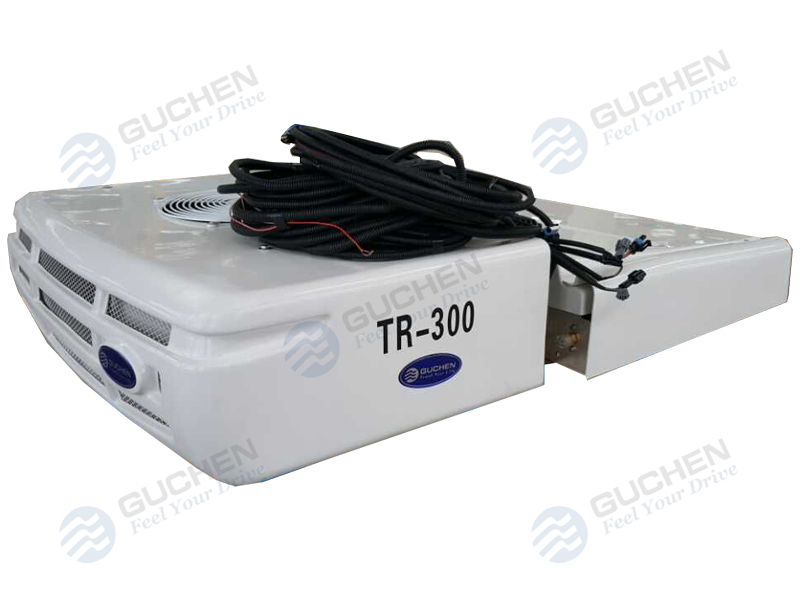 Temperature range from -20℃ to 25℃. 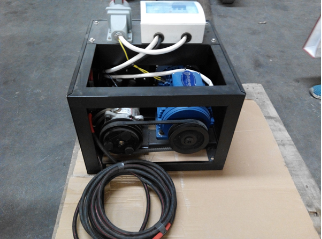 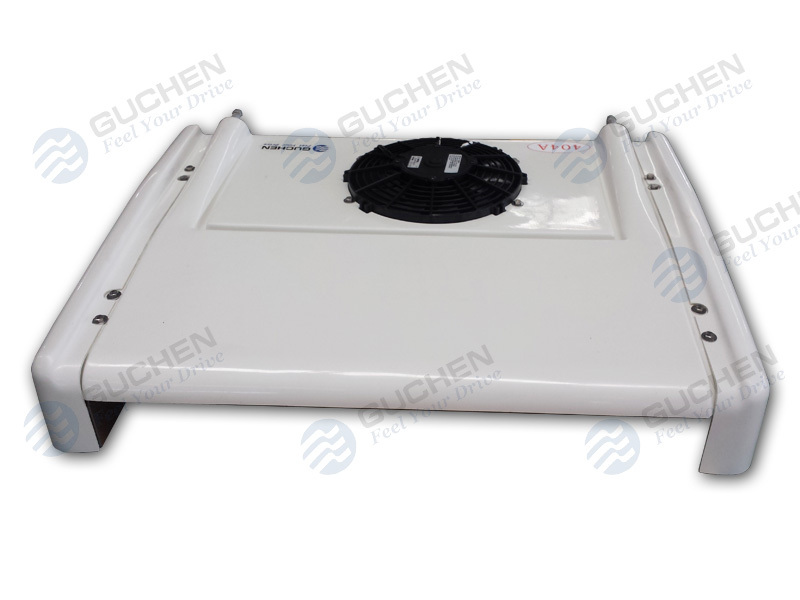 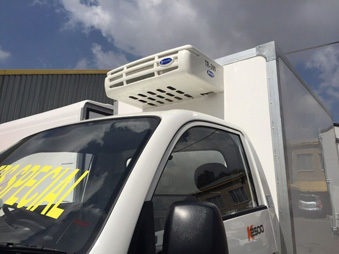 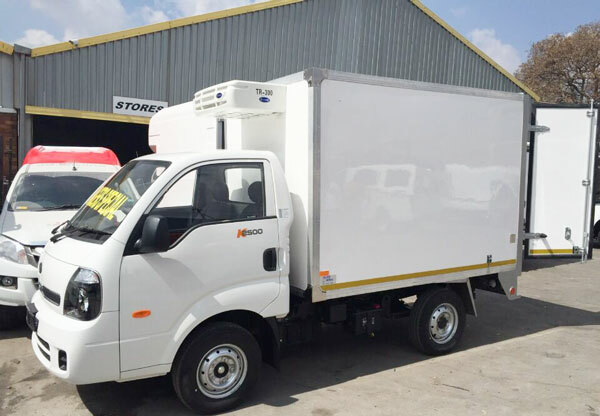 The cooling system is designed for the transportation of fresh or frozen goods in small and medium sized trucks and vans with the container volume of 10~20m³(L≤4.3m). 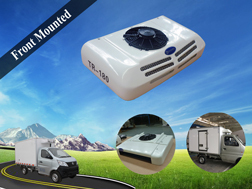 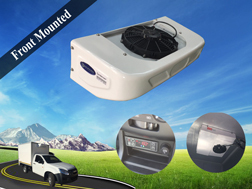 TR-300 Truck Refrigeration Units are all installed on the front of the refrigerated truck. 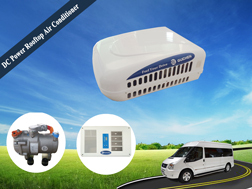 ● Hot-gas defrost system with auto. 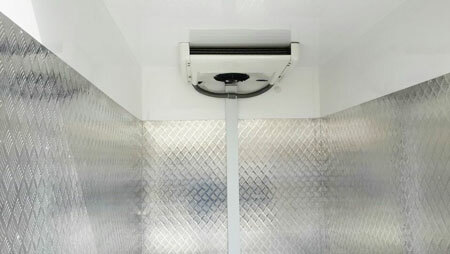 or manual defrost temperature control system. 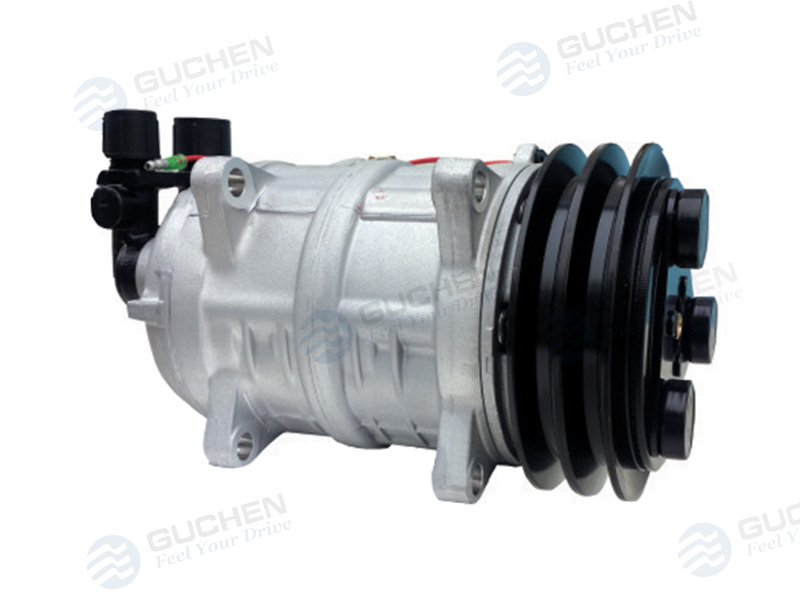 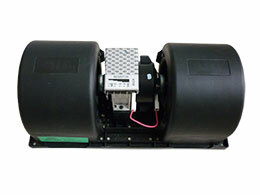 ● Easy to maintain, including the auto-detecting system and dismantle structure. 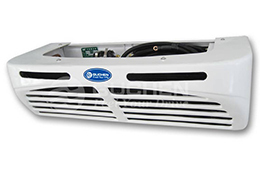 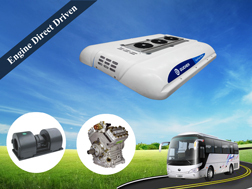 ● HP/LP protection device of the transport refrigeration units. 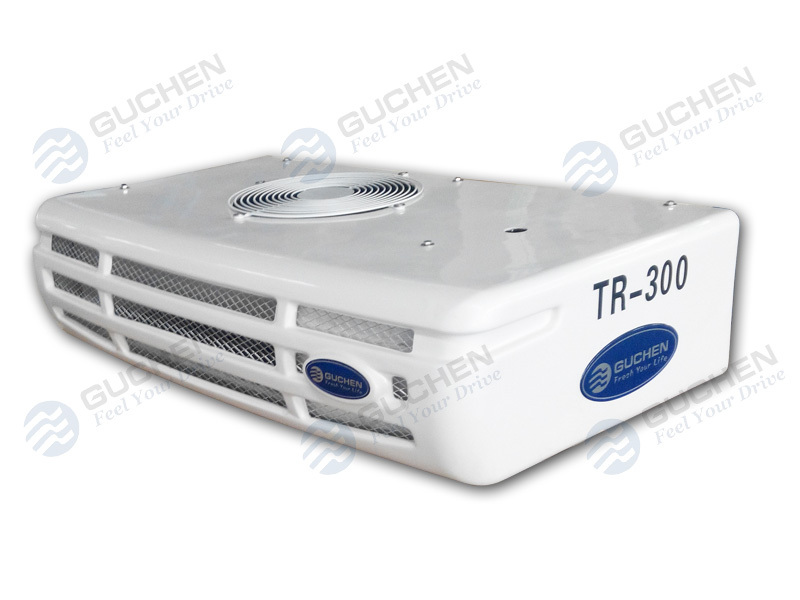 ● International certifications ISO9001/ISO14001/TS16949/CE/RoHs, etc. 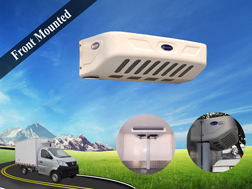 H/P, L/P protection of cooling system. 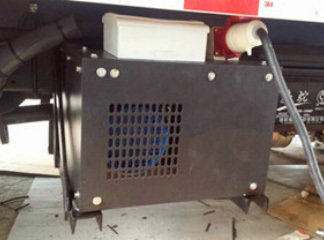 Liquid injection and oil return protection device.